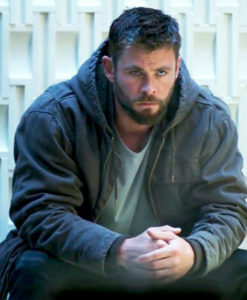 All the Avengers End game Jackets regardless of the superhero they belong to, exuberant moralistic vibe of their character along with courage, bravery and wisdom. 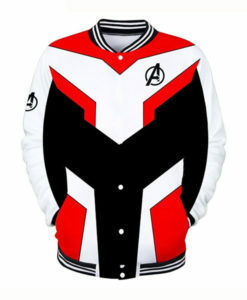 These Avengers inspired jackets will take you to the zenith of fashion and make you stand out amongst the crowd. 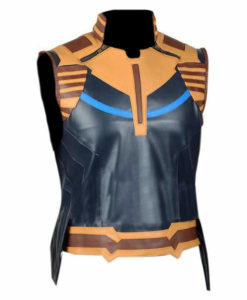 Get fancy, flashy and warm with this bold statement making Avengers: Infinity War leather jackets. 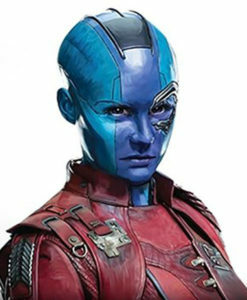 Marvel Studio’s most ambitious outing till date was Avengers: Infinity War as it was the perfect amalgamation of factors like staring of all the Avenger Super heroes fighting unanimously together against a Super villain along with a humongous budget, thrilling action sequences, emotional weight of the story and mindboggling Visual effects. This 2018 American Superhero flick was a visual delight and cinematic pleasure for all the movie goers specially the fans of Avenger series. Avenger: Infinity War not only won a lot of critical accolades but set the box office on fire by being the first superhero flick to earn $2 Billion dollars worldwide. This film became such a craze and rage amongst youth that undoubtedly the popularity and admiration that it has received will be difficult to surpass by any other movie. 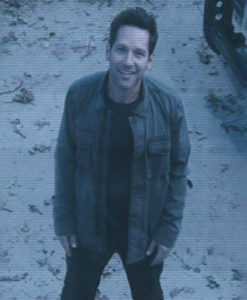 The plot of this movie revolves around a new Danger named Thanos who emerged from the cosmic shadows as intergalactic despot from Titan and wants to get six infinity stones to rebalance the universe by destroying half of it. All the Avengers and Guardians of Galaxy face the greatest Super villain of all times Thanos to prevent him from the irreparable destruction and in this process a lot of their lives are sacrificed. 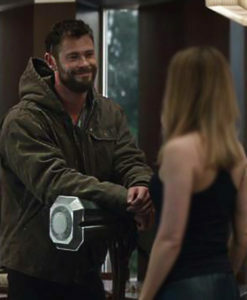 The Superheroes which were part of this devious, destructive war and who faced Thanos with utmost courage and nerve are Iron Man, Thor, Hulk, Captain America, Black Widow, Spiderman, Black Panther, Star Lord, War Machine, Loki, Hawkeye, Winter Soldier, Ant Man, Falcon and other guardians of galaxy. As the story precedes from Thanos collecting few of the infinity stones, he manages to overpower Hulk, subdues Thor and kills Loki. The incredible hulk who is a genius scientist but because of exposure to the gamma radiation transforms to the gigantic monster when enraged. Heimdall saves Hulk and in return Hulk crashes New York and warn and strategize about Thanos with other Avengers. 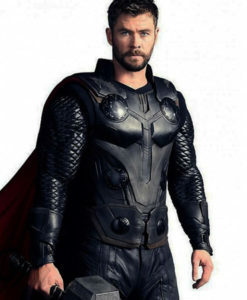 Thor is initially subdued by Thanos but he is the only one who is strong and courageous enough to wound Thanos severely leading to him teleporting to another Planet. 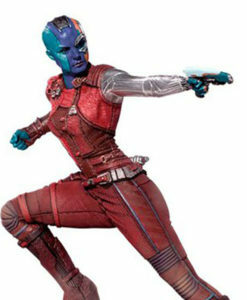 Spiderman in this movie caused a lot of heartbreak because of the fact that he sacrificed his life while saving the universe and fighting against Thanos, joining him was Star Lord who was just written off as a cameo by lot of people initially but turned out to be a game changer as he literally snatched defeat from the jaws of victory and indirectly aided Thanos to wipe off half the universe but in the end he also faces the same fate of death. 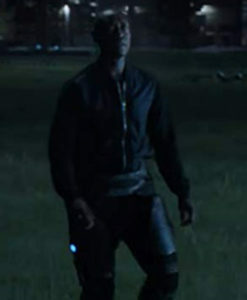 Black Panther was another superhero who was disintegrated by the supremely powerful Thanos. Iron man aka Tony Stark and Captain America were also the survivors of this war with Thor and Hulk as they survived Thanos unscathed. Though all the Avengers are unimaginably and unbelievably famous and enjoys humongous fan following but there are few who have broken all records in terms of fans, followers and admirers. 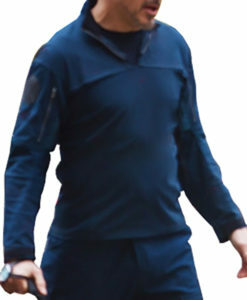 Tony Stark aka ironman, Spiderman aka Peter Parker, Captain America and Star lord are such Marvel Characters who always were popular but after this movie, they have garnered astonishing amounts of fans and followers not only because of the brilliant storyline of their characters but also due the amazing, eye grabbing costumes that they have adorned. 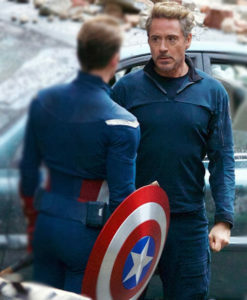 Captain America aka Steve Rogers played by Chris Evans with his enhanced speed, endurance, strength, agility, reflexes and healing manages to survive the infinity war unwounded and unscratched, his heroic attributes and macho persona was enhanced by his black red and blue jacket with spider imprinted on it got everyone buzzing and made it to the wish list of many. Star lord played by Chris Pratt was actually crowned as a true villain by many people but his mysterious persona and scheming personality along with the color popping maroon jacket won him lots of accolades. 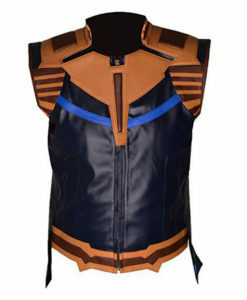 Lastly, Tony stark aka Iron man played by the dreamy Robert Downey junior who is the leader of avengers already had loads of girls crushing on him but with the alluring iron man jacket with a cool laid back vibe with orange and white lines he has become an object of envy of millions of guys and love interest of zillions of girls. 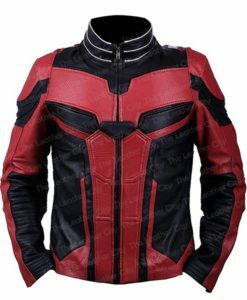 This is your indisputably and undoubtedly one stop destination for the top notch quality, fine stitching and durable Avengers Leather Jackets. 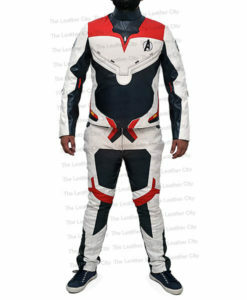 These stellar jackets are curated with supreme quality genuine/faux leather with such durability and finesse that not only will it outlive you but will look classy when you adorn it. The glossy finish with matte sections, geometric patterns and lines with multiple hues and undertones make it an apt wear for themed parties, clubbing, Halloween and even casual gatherings. 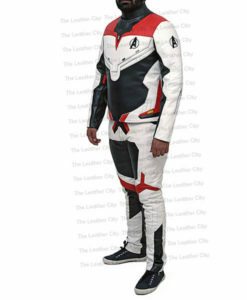 The inner viscose lining as an internal shell will make it a cozy and comfy wear. 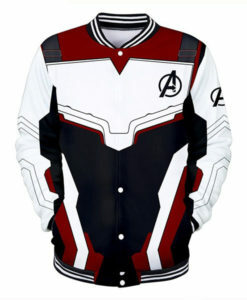 Each jacket in this Infinity wars jackets series has a superhero logo imprinted or embossed on it with such finesse that it would give the illusion of being the original one. Fine stitching and YKK zipper closure makes it easy to adorn. Inner waist pockets and slant pockets are there for your essentials. 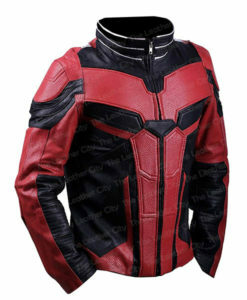 The brilliantly handcrafted and stylishly adorned costumes of your most favorite super heroes grabbed a lot of eyeballs and are in huge demand these days, So what are you waiting for, grab these amazing Avengers Leather Jacket to make an eternal impression.